Home » Health » What Is Pericardial Effusion? Pericardial Effusion is a buildup of fluid in the space between the pericardium, which is 2 layers of thin membrane that envelops the heart. Under normal circumstances, the space between the two pericardium tissues contains two to three tablespoons of clear yellow liquid, which functions to help the heart move more easily. But when you experience pericardial effusion, the amount of fluid can reach 100 milliliters, even more than two liters. The buildup of fluid in the pericardium can cause cardiac tamponade or pressure that is so high in the heart that it decreases heart function and endangers life. Pericardial effusion can occur without causing symptoms, especially if the effusion is still small or if the fluid accumulates slowly. Symptoms usually only appear when a lot of fluid has accumulated. 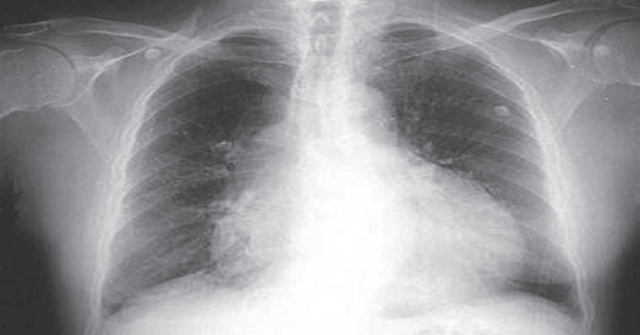 Symptoms that are felt by patients with pericardial effusion appear when there is pressure on the surrounding organs, such as the lungs, stomach, and nerves that are connected to the diaphragm (phrenic nerve). In addition, symptoms can also arise when pressure makes the heart unable to relax normally between each contraction. Meanwhile, cases of pericardial effusion that develop rapidly are indicated by symptoms such as palpitations , shortness of breath, cold sweat, and fainting. These symptoms need to get medical treatment immediately, because it can endanger life. While the symptoms of pericardial effusion that causes cardiac tamponade, are characterized by bluish lips and skin, shock , and changes in mental conditions. Are You Know : What Is Numulatory Dermatitis? Most cases of pericardial effusion occur due to inflammation of the pericardium or pericarditis . The liquid pericardium will increase if the inflammation gets worse. One of the causes of this condition is viral infections, such as cytomegalovirus , coxsackievirus , HIV, or echoviruses . Bacterial infections, such as tuberculosis. Injuries to the pericardium due to medical procedures, such as radiotherapy or chemotherapy. Autoimmune diseases , such as lupus and rheumatoid arthritis . Kidney failure, resulting in body waste products, including fluids, accumulating in the blood. Take certain medications, especially drugs for hypertension and anticonvulsants . Heart attack or heart surgery that causes inflammation of the pericardium. Injuries or stab wounds around the heart. Underactive thyroid gland ( hypothyroidism ). However, there are also many cases of pericardial effusion that are not found or are called idiophatic pericardial effusion. Chest X-ray With this examination, it can be seen that the heart is enlarged if the amount of liquid pericardium is large. Echocardiography. Echocardiography tests use sound waves to display a picture of the heart, so that it can be seen how severe the pericardial effusion is. Electrocardiography ( ECG ) . This examination records the electrical activity of the heart, so the doctor can see certain patterns that indicate the presence of cardiac tamponade. CT scan or MRI . Treatment of pericardial effusion depends on how much the fluid stacks, the causes of effusion, and the possibility of the patient experiencing cardiac tamponade. Generally, treating the causes of effusion can simultaneously overcome pericardial effusion. If the patient has mild effusion with a known cause (eg kidney failure ) or does not show any symptoms, then special effusion treatment is not needed. Treatment for this case is done with the aim of overcoming inflammation of the pericardium while treating effusion. Depending on each cause, doctors can administer drugs, such as aspirin, nonsteroidal anti-inflammatory drugs, coticosteroids , or colchicine. If the patient has a severe infection or cardiac tamponade, the treatment needed is to remove the pericardial fluid as soon as possible. The discharge of fluid can be done with a pericardiocentesis procedure. But if the pericardial effusion contains blood due to heart surgery that has been done before, the doctor can do open heart surgery to remove the fluid and repair the damage that occurs. In this procedure, the doctor will release fluid, while making a channel so that the remaining fluid can flow into the abdominal cavity so that it is easily absorbed. To prevent the effusion from happening again, the doctor can recommend surgical removal of the pericardium (pericardiactomy). Pericardiactomy can be the last choice if the effusion occurs again, even though pericardiocentesis has been done. 0 Response to "What Is Pericardial Effusion?"